The Painted Psyche and Other Narratives 2000-2018 is the 10th solo exhibition in the artist’s career, and presents a series of deliberately small and intimate works produced in the last few months by Gozitan artist Mark Sagona. The present collection focuses on the concept of deep inner feeling which is transmitted through a continuous research on light and colour. 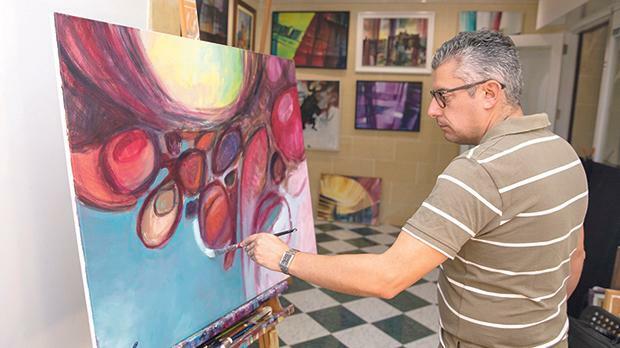 The artist believes that abstraction is the purest form of art where he can convey the situation of his psyche in a direct, immediate and unshackled manner. The most recent works are a combination of particular and specific moments of the artist’s state of mind and state of being in a given instant in time. 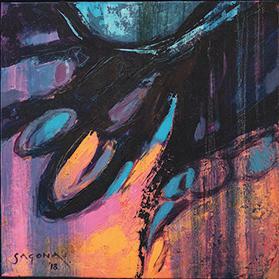 Each work is mixed with an aesthetic concern for light, colour and composition. The works, albeit small in dimension, are very strong and dense in the emotion they convey. 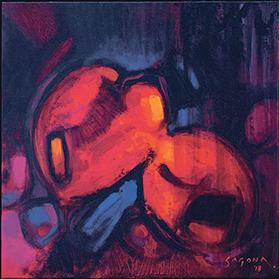 Sagona’s abstract works have sprung from his early engagement with natural and man-made forms but have evolved significantly over the years. The present exhibition presents also an occasion to take note of the artist’s voyage in the past 18 years, following his artistic evolution from the days when he emerged on the local scene as a fresh graduate from the University of Malta in 1999, to the present day as a member of the Department of Art and Art History at the University of Malta where he also leads classes in drawing and painting. The exhibition is being curated by Nikki Petroni, PhD candidate in Modern and Contemporary Art at the University of Malta. Petroni will be also the main contributor to the full-colour exhibition catalogue. This exhibition is being organised by Valerio Ballotta of GBK Malta Ltd and project coordinator Christian Zammit, with the collaboration of the Arts Council Malta and the Department of Art and Art History, Faculty of Arts, University of Malta, and is endorsed by the Valletta 2018 Foundation. The Painted Psyche and Other Narratives runs until January 19 at Palazzo de la Salle, Valletta.